1 Plaster Pink This is a colour that manages to be both feminine and masculine at the same time. It is a pale pink but with a touch of grey. Quiet, and yet bold. Soft but also strong. A delliberate colour (rather than a white-with-a-hint of shade), that will not overwhelm. 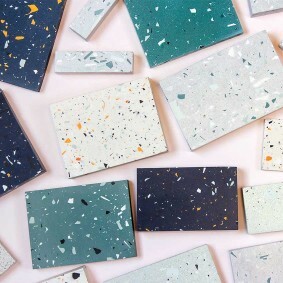 It also works with everything, from woods to metallics, stone to concrete, which makes it superbly adaptable to many different spaces in your home. All good qualities for this particular moment in time. 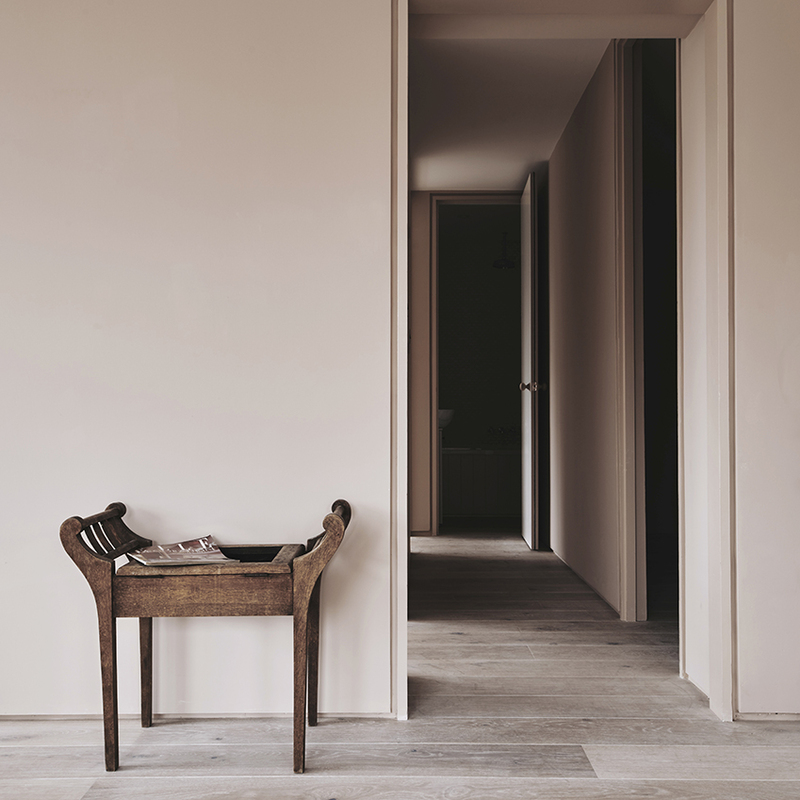 Freshly dried and untouched plaster is of course the purest form of the colour, but if a smoother, more polished finish is your heart’s desire, then Farrow & Ball’s Peignoir is this delicious shade ready-mixed in a tin. House designed by the London-based Chan + Eayrs Architects. Photograph by Michael Sinclair. First featured in the October 2016 edition of ELLE Decoration. 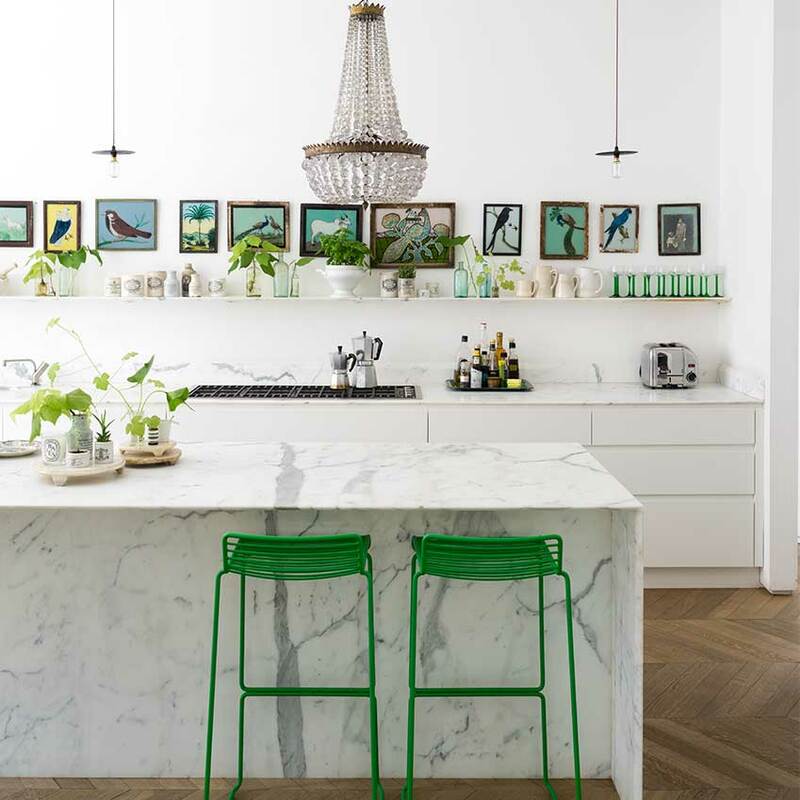 2 Gorgeous greens This is a trend that our Editor in Chief has talked about before (see Trendbulletin 4) eulogising the very power of green to uplift and enliven. It’s not going away, and that’s good, for it has the power to transform like no other shade of the spectrum. And again, it is wonderfully flexible, as we speak here of all greens, from delicate celadons to deepest fir hues. And of course, the natural variety, whether humble pot plant or a garden, from balcony to patio, vast lawns to postage stamps counts too; it doesn’t matter, the important thing is simply to recognise the importance of regularly gazing upon green. Sometimes it’s just a pop of green that’s required to give both you and a room a lift. This image is from one of my favourite ever homes we’ve published, first seen in the June 2016 edition. See the back issues link at the bottom of the post if you want to pick up a copy. 3 Denim Blues Blue is a perennially popular colour, often cited as people’s favourite, and of course teal, was picked as our Editor in Chief’s colour of the year, prompting the very first Trendbulletin. But the blues we refer to here cover a wider range. This is more about the larger connotations of the colour than an individual shade, which is why I refer to it as ‘Denim Blues’. Consider the cloth in all its varied tones, washed-out to indigo, bleached to faded. Consider its iconic status, and yet it’s widespread availability. As such, when we think of ‘Denim Blues’ we also reference the easy care, relaxed but eternally chic, go anywhere, smart or casual, vibe of its namesake. 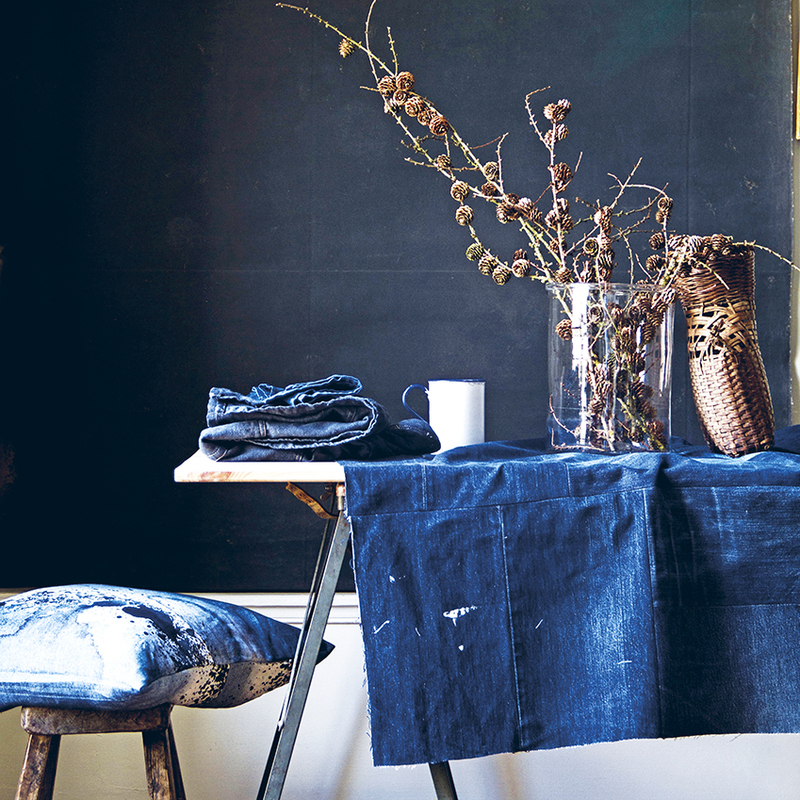 And in fact, Dulux’s colour of the year for 2017 was called Denim Drift, described as a colour that “works as well in a kitchen as it does in a bedroom.” Which is exactly the point. This is another go anywhere, use anyhow shade. Because why have constraints at home. Image taken from ‘In the Mood for Colour’ by Swedish-born Stylist Hans Blomquist (Ryland, Peters & Small, £19.99) First featured in November 2016 edition of ELLE Decoration. 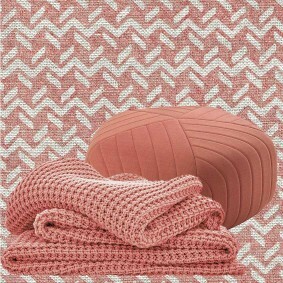 Summary This trio of colours is all about flexibility and adaptability to any room or situation. Want to cool a space down, then the greens and blues will work wonders. Need to warm a space up? Then combine the pinks and greens, yes really. It sounds unusual but it’s our top tip colour combo. And of course, they’ll also all work perfectly together too. Take the denim hues as your neutral, balance with the plaster pink and adorn abundantly with greenery. Perfect.